I always have a difficult time picking favourites no matter what the subject. So when asked to choose five favourite and most memorable features that I’ve written for Babyology, I was both excited and slightly apprehensive to dive into my hundreds of posts. It’s taken an entire week-and-a-half to narrow them down but here they are, Babyologists. Enjoy! When I think of all the features I’ve written for Babyology, one of the first to come to mind is Ferm Living. 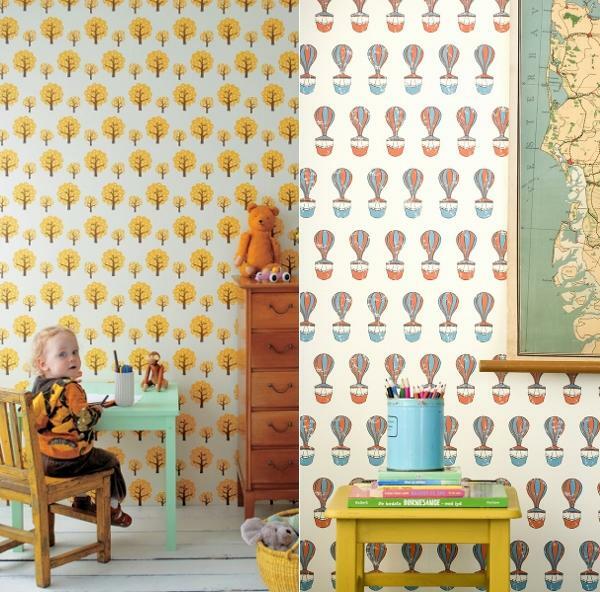 I fell hard for their wallpapers, dollhouse, bedding and cushions. All distinctly Danish and all right up my alley. Don’t forget to check out their two new wallpapers based on Tivoli in Copenhagen – one of which is the ‘Ferris’ design above right. These gumboots had me at hello. I adore shoes and these rainy day feet-savers for kiddies top them all. I bought a pair for my daughter and she wore them just about every day last winter – rain or shine. Trying to get my hands on a bigger pair, I came across their new range called ‘Ballong’ featuring a stunning balloon print. I was totally blown away by this website full to the brim of gorgeous one-of-a-kind vintage children’s clothing. I was fascinated with the journey each piece of clothing had taken: how many children had tucked their little fingers into the pockets over the years and what parties they’d been worn to. It’s really a treasure and worth a long visit. 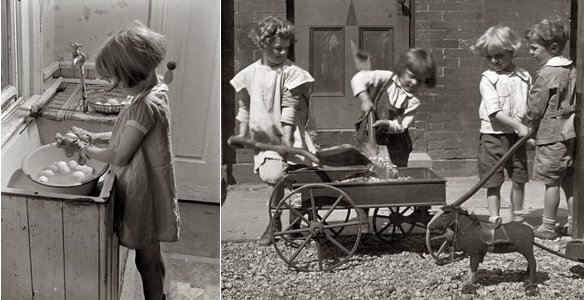 The photographic works for children (and children at heart!) from Doe-c-doe are one of my favourite finds of all time. 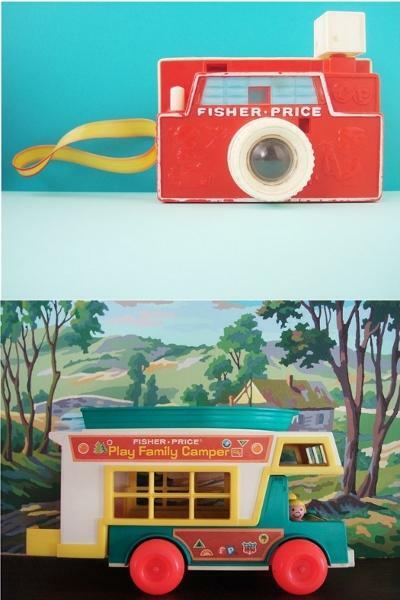 A little bit kitschy – in a good way – totally unique and a lot of retro equals my favourite things all put together. The composition of vintage toys set against original paint by numbers scenes and wow-worthy turquoise backgrounds are a thing to behold. It was a toss up between Nellystella and the Eames RAR rocker feature to round out my fab five and Nellystella won by a hair. I picked it because every time I look at the playsuit and mini trench pictured above, I get a chill. My daughter’s style through and through, the clothing designs are cuteness personified with a sophisticated ‘city kid’ flair.